Wow it’s been over a month since I’ve written anything on my blog. I guess it’s been really busy. 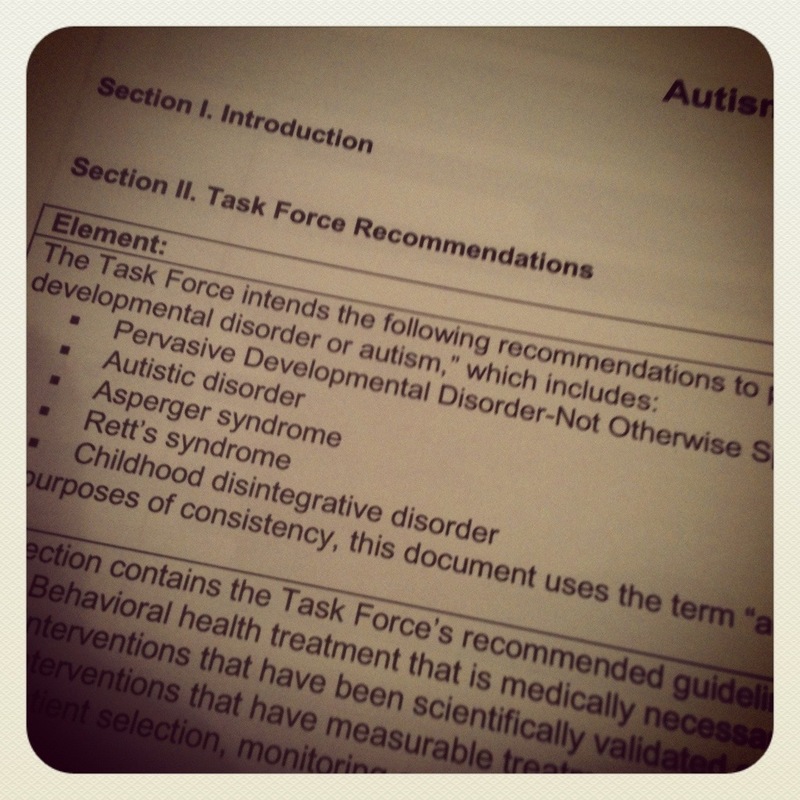 The latest thing I did, was go over to the autism task force meeting at the capital a couple of weeks ago. I went with another autism mom. We sat through the majority of that meeting listening to all the different ways that this task force was going to essentially treat autism from now. More specifically they discussed WHO could treat children with Autism and there was room for public comment at the very end. The meeting lasted all day. Paula, the other autism mom that went with me, was awesome! She went in front of this task force and talked about her daughter and her current kaiser services, or lack thereof. She was very powerful and gave me the strength to speak myself. Paula presented her daughter Michelle to the task force. I’m so glad that I know both of them. The committee listened. Not only Paula, but to me as well. I really felt like I let them know who my boys were and gave them voices. I will admit it was nerve-racking! It is so intimidating to stand in front of a large panel of over 20 people and basically pour your heart out talking about your children, their disabilities, services that are being terminated and again the lack of services that they receive through their own health insurance. That new insurance law was what I focused on. I pretty much blasted Kaiser. I was honest with our situation & I did my best to let everyone know that we are not getting responses in a timely matter, promises are not being kept and our regional center will not be covering ABA for much longer. Again one of the things I focused on was the fact that our insurance is supposed to start providing these autism services based on SB 946 and they haven’t been responding to us. I really focused on the fact that I want to keep my current ABA vendor & that Kaiser only allows you to work with either Easter Seals in Oakland or learning solutions in Sacramento. I really wanted to get the point across that I live in Reedley. I don’t live in Fresno, I don’t live in Madera. We are much further out than either one of those cities – we are about 30 to 40 minutes away from them to be exact – so ABA vendors and therapists driving from Sacramento and/or Oakland to Reedley is not an option – that is not a network. My final plea or rather demand was that Kaiser live up to the current law and provide some of our rural communities out here with services. I also requested that they allow us to keep our current ABA vendors. 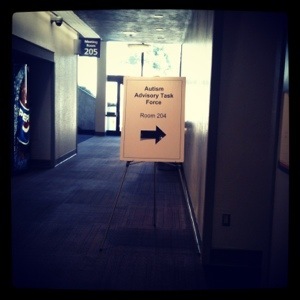 One of the head doctors for Kaiser was present at the autism task force meeting. He gave me his information and card and told me he would look into my sons cases and get back to me within two weeks. It was less than a week and he did get back to me. I now have a case worker through Kaiser and it looks like things are going to be going our way – thank God! I will keep you all posted on upcoming developments! I guess the squeaky wheel does really get the grease!